After competing with the United States and Russia, the representatives of the states belonging to World Sailing chose Mexico’s Pacific Treasure as the best option to host the event. 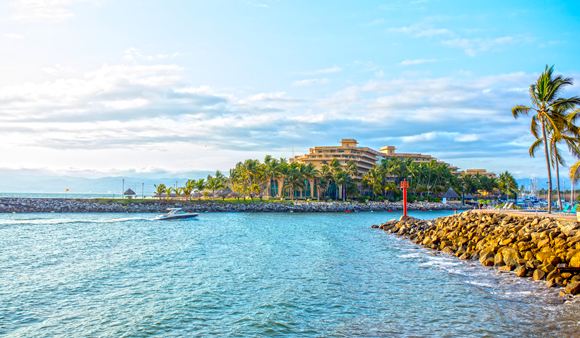 The Riviera Nayarit continues to attract world-class events to the Destination thanks to its international positioning, its service infrastructure and natural bounty. Now, as the state of Nayarit celebrates its hundredth anniversary and the Riviera Nayarit marks its first 10 years, its most recent achievement has been to win the privilege of hosting the 2017 World Sailing Annual Conference to take place next November 4-8 at the Paradise Village hotel in Nuevo Vallarta. This accomplishment was realized thanks to the efforts of the Riviera Nayarit Convention and Visitors Bureau (CVB) and the Vallarta Yacht Club (VYC), as well as work done by the Mexico Tourism Board and the Nayarit Secretariat of Tourism. The finalists announced during the November 2016 general assembly to host the encounter were Mexico, the United States and Russia. The latter dropped out, leaving Florida and the Riviera Nayarit in the running—and the representatives of World Sailing chose Mexico’s Pacific Treasure as the best option. Four hundred committee members and 700 attendees are expected for the convention in November 2017. Beyond attending to World Sailing’s requirements, there will be several social events offered by different sponsors, with the Riviera Nayarit CVB and Rolex as top names on the list. World Sailing executives visited the Riviera Nayarit on February 14-16 in order to define the locations for these events. International events hosted by the Riviera Nayarit in recent years include the 2016 World Sailing Cup, the ISA’s 2015 SUP World Championship, the UN’s 2014 Humanitarian Impact of Nuclear Weapons and that same year’s IX Pacific Alliance Summit, among others.